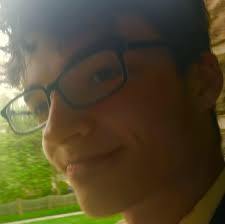 Julian von Abele Columbia physics sophomore student racist tirade. Calls to expel white Columbia University student, Julian von Abele continue after the sophomore physics student goes on racist tirade. 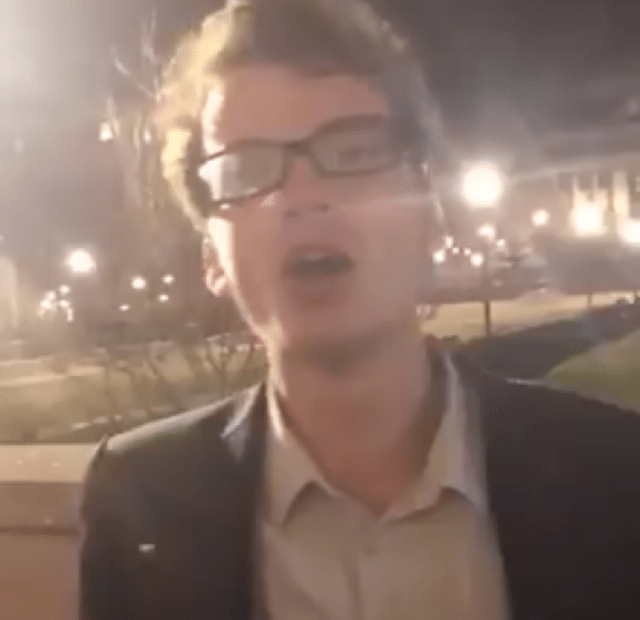 Sophomore, Julian von Abele‘s seemingly drunk racist spiel was caught on video outside of Butler Library around 4am on Sunday. Needless to say the verbiage didn’t go down too well with congregating students who took out their phones and filmed von Abele as he continued to slur and cause disconcert. ‘Are you European?’ asked one student. ‘The modern world is built off of slavery, but go off sis,’ a black girl is heard saying. By the end of the clip- von Abele is captured jumping and shouting with glee. ‘You f***ing degenerate,’ a male student responds to the sophomore’s verbiage. A regard of Von Abele social media profile shows the sophomore being a second year student at the New York Ivy League school- with the student’s Twitter page describing him as an author, physicist, along with mentioning running in the 2016 presidential election as an Independent candidate. A regard on YouTube also reveals von Abele sharing several videos on YouTube explaining physics theories. Viral notice of the Columbia University student’s verbiage followed Columbia student Aala Nasir sharing the above clip with the caption: ‘Disappointed, but not surprised. Twitter do your thing #ColumbiaWhiteExcellence.’ The video has since racked 1.44 million views and counting. Von Abele hasn’t responded to inquiries by the campus newspaper about his viral speech. Julian von Abele. Image via Twitter. Columbia University released a statement saying the institution does not tolerate his message of white superiority. ‘Statements of white racial superiority conflict with the University’s core value of inclusivity as well as the educational work and research that take place on our campuses,’ the university said. ‘Although we cannot comment on the proceedings, this incident is already under investigation by the Office of Student Conduct and Community Standards, and we want to assure you that it will be investigated thoroughly, beginning with interviews of witnesses,’ the statement added. The Black Students’ Organization at Columbia released a statement saying that von Abele also physically grabbed one of the people in the group and asked if black women like to date white men. The incident has since led to fellow Columbia students demanding Von Abele be expelled from the esteemed school. Freshman Kwolanne Felix, who was a part of the group harassed by von Abele, hopes the university will take serious actions. ‘I really hope that Columbia takes further action. They should definitely try to talk to the students that were affected by that and ensure everyone’s okay because that’s really hard to internalize,’ she said to school paper The Columbia Spectator. ‘As an alumna, I am infuriated by this. Please do the right thing and expel this student. Don’t enable white supremacy,’ a Columbia alumna said. Posted another user, ‘This is disgusting. You need to expel this student as he doesn’t deserve to be affiliated with this university. He is a white supremacist’. Some users were quick to correct von Abele’s false facts that Europeans founded mathematics and science, stating they appeared in early cultures in the Middle East, northern Africa, Greece, India and China before Western Europe. ‘While Europeans were pouring out sh*t into the street and dying of the black plague, Muslims in Africa invented algebra,’ one Twitter user wrote. ‘Privileged white dude says white people invented math. Nope. Just Nope. Maybe @Columbia can teach him something about the Persians, or Egyptians, or Chinese, or Mayan, or Greeks. Eurocentric education doesn’t tell the whole story,’ another added. ‘The way he phrased his view. “White people are the best thing that happened to the world”… According to Native Americans? Africans? According to whom? White people. Europeans slaughtered, pillaged and raped their way to modernity,’ another Twitter user said. The racist video is just one of a slew of hate crimes targeting students of color at universities across the nation. Last year a black student at Cornell was viciously physically beaten by other students in a racially motivated attack. In 2016 Harvard students received a shocking email with the subject line ‘Fight white genocide – vote Trump’, according to the Harvard Crimson. While outcry against Von Abele continues to reach fever pitch- it remains unclear what action, if any- the ivy league school will take against von Abele. If this was a sane world what the guy said would pass unnoticed. He’s proud of his identity. That’s all. But we are a going through times of moral panics and witch hunts. Your call for the guy to be ‘punished’ is a sad sign of the times. Screw his actions, just a drunk ignoramus. Point is that Europeans did their best to subjugate other places as soon as they could (even with others’ tech, inventions, and advancements), therefore arresting development and creating a still existing imbalance.